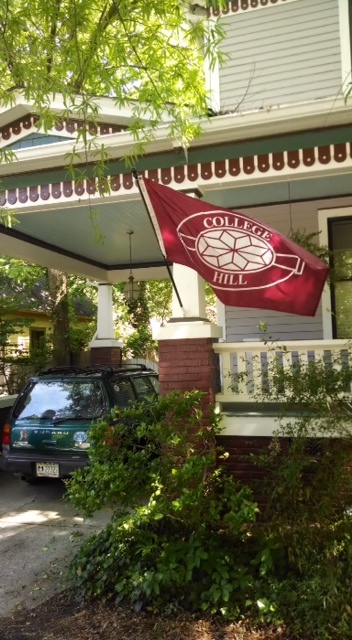 The College Hill logo is based on a decorative second-floor window on the front of 816 Walker Avenue. The logo was developed by Alan Broach of Broach and Company around 1981. Alan lived in a house he restored on Odell Place (now owned by Greensboro College). He was a neighborhood association board member and was the owner/developer of a number of beautifully renovated rental houses in the neighborhood. Alan continues to operate Broach and Company. He also serves as publisher of the weekly Triad City Beat.